1060 Fifth Avenue 10B, New York, NY 10128 | Sotheby's International Realty, Inc. 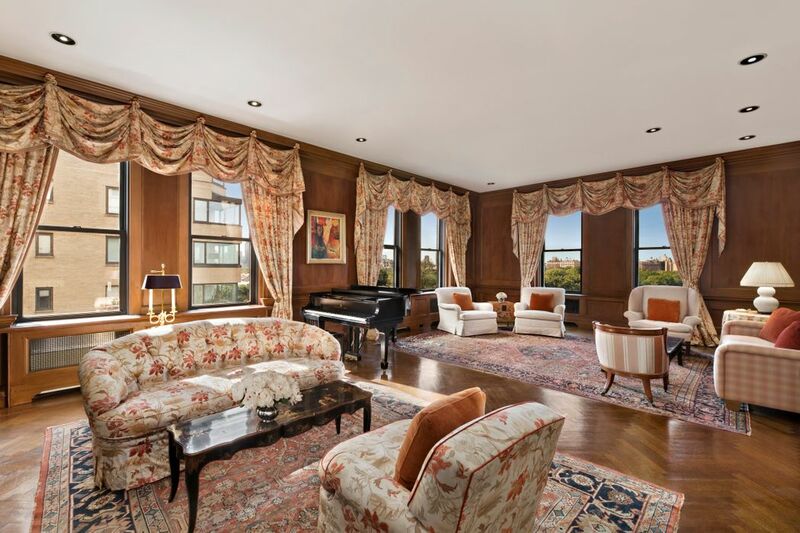 This sprawling 10th floor residence is perched high atop one of Carnegie Hill’s most coveted prewar cooperatives and offers stunning views of Central Park and the Reservoir. 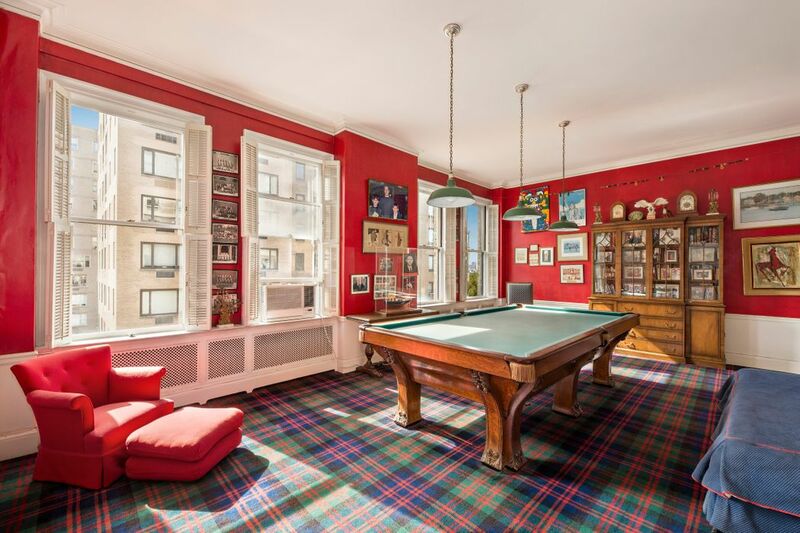 Designed by the renowned architect JER Carpenter in 1928, this high floor apartment incorporates all of the period architectural elements that distinguish the great buildings of the late 1920s in New York City. 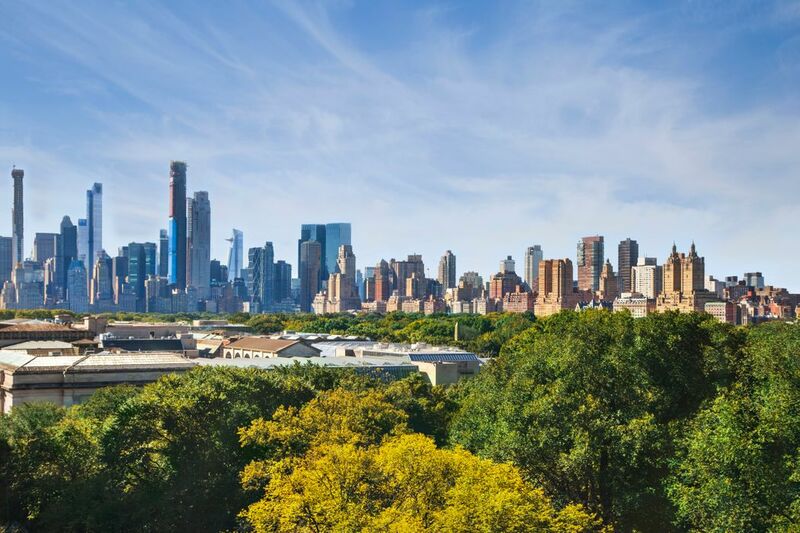 The spectacular 15 into 13 room corner residence is perfectly positioned on Fifth Avenue to enjoy the absolutely dazzling views of Central Park and the fabulous sun-lit Southern exposures grace the apartment with amazing light throughout the day. 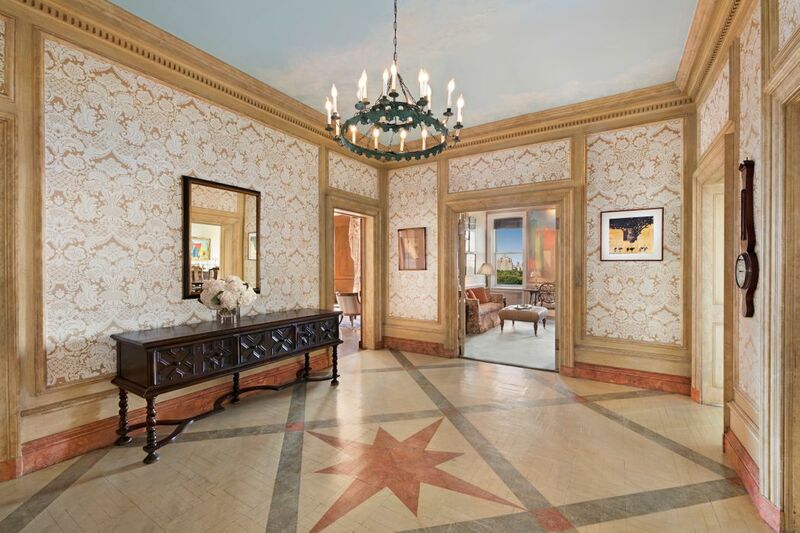 Upon entry, a private elevator landing opens to a beautifully proportioned Gallery which anchors the principal Entertaining Rooms, all overlooking Central Park. 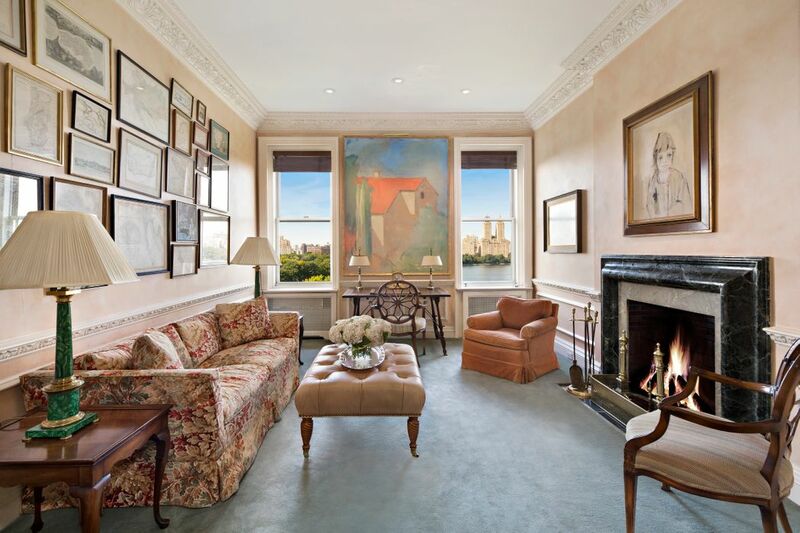 The lovely corner Living Room with wood burning fireplace enjoys both southern and western exposures and boasts absolutely incredible views of Central Park and the city skyline. Adjacent there is a wonderful Library and a formal Dining Room, which also boasts a wood burning fireplace and views of the Park. The private quarters include a large and gracious Master Bedroom Suite with an enlarged ensuite Bath and fabulous Dressing Room. There are also four big additional south facing Bedrooms with sunny southern exposures, ensuite Baths and very ample closet space. 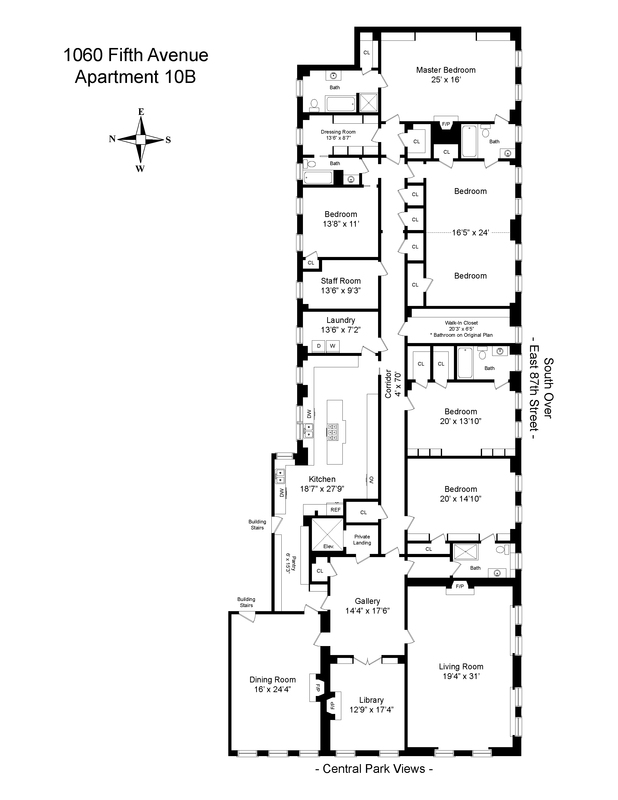 There is also the possibility to create a Fifth or Sixth Bedroom across the hall. A nice big Kitchen with Pantry and a spacious Staff and Laundry Area complete the layout of this cheerful and most impressive Fifth Avenue residence. The circular floor plan of the apartment affords tremendous versatility and easily allows for big entertaining as well as a cozy more at home lifestyle. 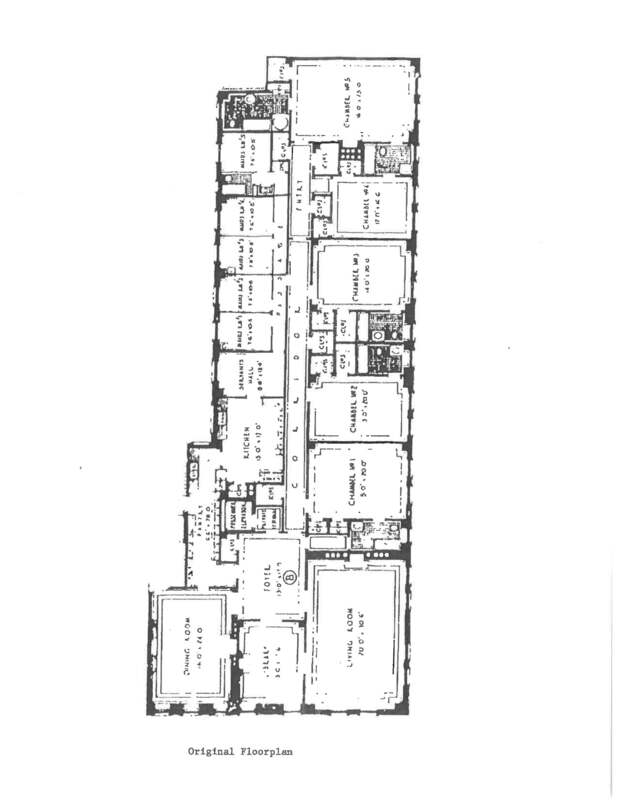 Designed by renowned architect JER Carpenter and completed in 1928, this distinguished and impeccably staffed full service building provides its shareholders with an impressive and state of the art health club with a lap pool, half basketball court and golf simulator. 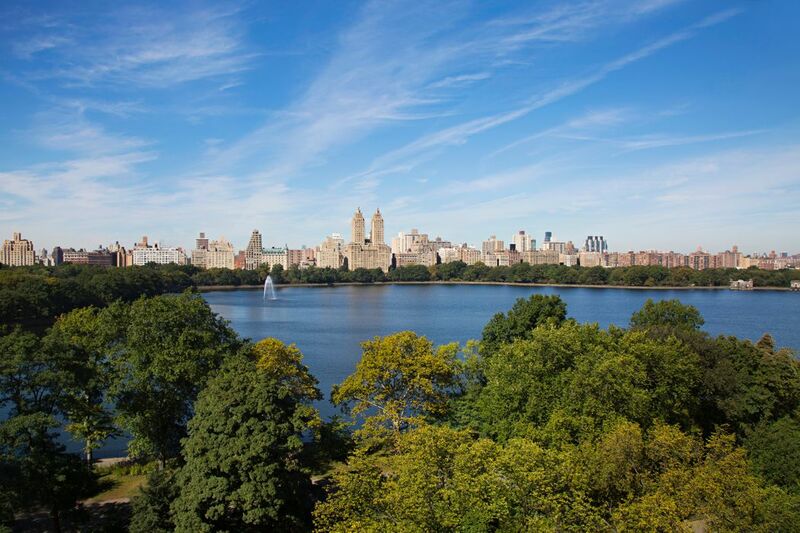 This sprawling 10th floor residence is perched high atop one of Carnegie Hill’s most coveted prewar coop and offers stunning views of Central Park and the Reservoir. Designed by the renowned architect JER Carpenter in 1928, this high floor apartment incorporates all of the period architectural elements that distinguish the great buildings of the late 1920s in NYC.The spectacular 15 into 13 room corner residence is perfectly positioned on Fifth Ave to enjoy the absolutely dazzling views of Central Park and the fabulous sun-lit Southern exposures grace the apartment with amazing light throughout the day. 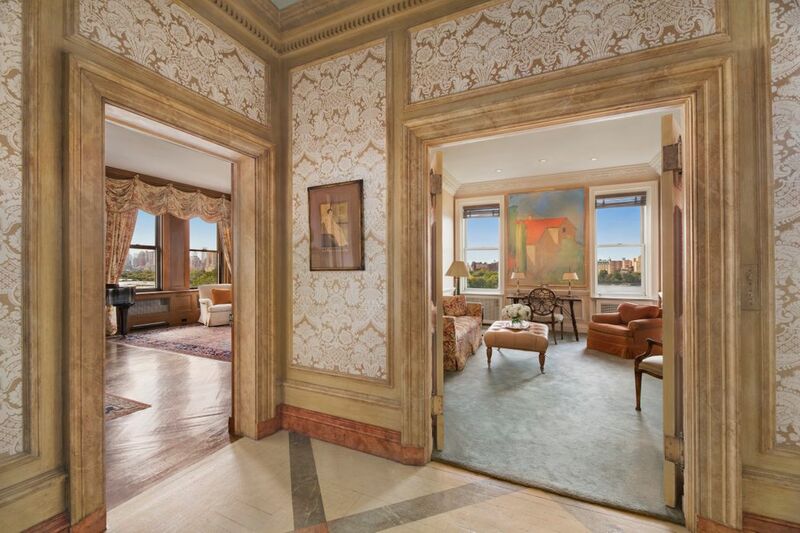 Upon entry, a private elevator landing opens to a beautifully proportioned Gallery which anchors the principal Entertaining Rooms, all overlooking Central Park. 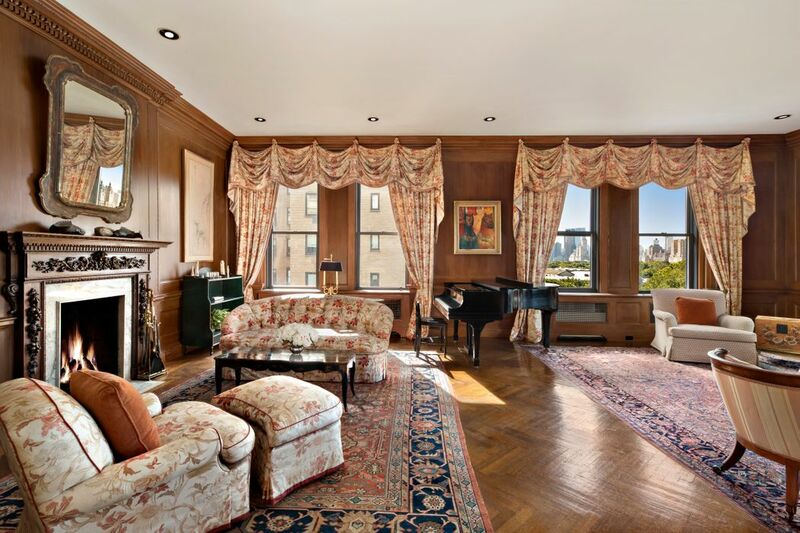 The lovely corner Living Room fireplace enjoys both southern and western exposures and boasts absolutely incredible views of Central Park and the city skyline. 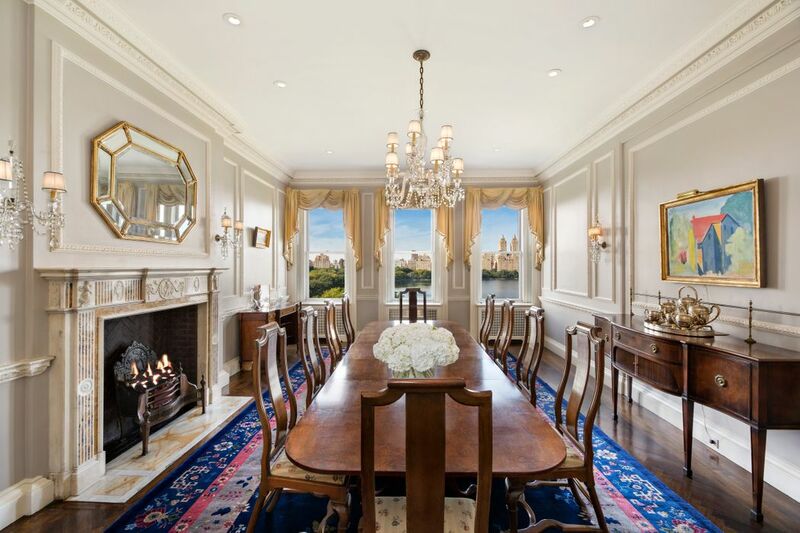 Adjacent there is a wonderful Library and a formal Dining Room, which also boasts a fireplace and views of the Park. The private quarters include a large and gracious Master Bedroom Suite with an enlarged ensuite Bath and fabulous Dressing Room. There are also four big additional south facing Bedrooms with sunny southern exposures, ensuite Baths and very ample closet space.There is also the possibility to create a Fifth or Sixth Bedroom across the hall. A nice big Kitchen with Pantry and a spacious Staff and Laundry Area complete the layout of this cheerful and most impressive Fifth Avenue residence. The circular floor plan of the apartment affords tremendous versatility and easily allows for big entertaining as well as a cozy more at home lifestyle. Designed by renowned architect JER Carpenter and completed in 1928, this distinguished and impeccably staffed full service building provides its shareholders with an impressive and state of the art health club a lap pool, half basketball court and golf simulator.